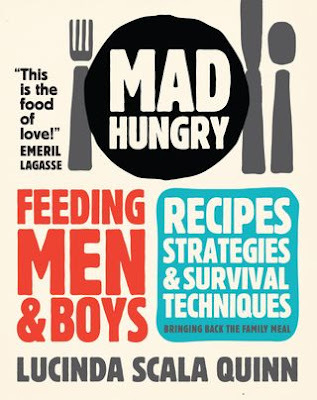 I just ordered the cookbook "Mad Hungry: Feeding Men & Boys" by Lucinda Scala Quinn, Executive Food Director of Martha Stewart Living Omnimedia. I recently tried her recipe for Pork Chops with Apples and Onions that was featured in Martha's magazine. It was tasty, so easy and I was able to get all the main ingredients from the farmers market. There are several positive reviews of the cookbook on Amazon so I ordered one for my mother-in-law's birthday and one for me. I'll be sure to share some of my favorite recipes once I start working my way through it.